Like Marcus Morris, Bledsoe wore an older LeBron model against the Sixers Friday night. 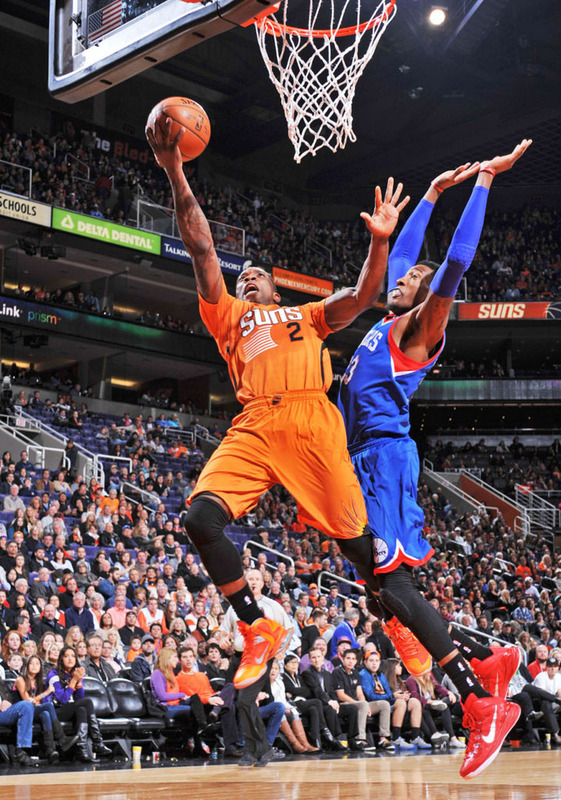 Like teammate Marcus Morris, Eric Bledsoe plays most of his games in sneakers from LeBron James' signature Nike line. 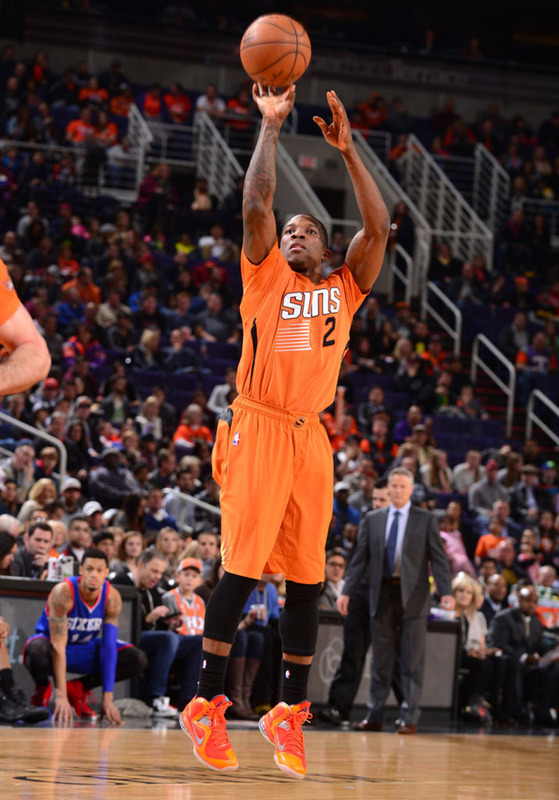 Also like Morris, Bledsoe went with an older model for Friday night's game against the Philadelphia 76ers. Bledsoe wore the 'Big Bang' Nike LeBron 9, which was James' shoe for the 2012 All-Star Game. The colorway also happens to be a great match for the Phoenix Suns' bright orange uniforms. In the popular sneaker, Bledsoe had a LeBron-like 17 points, 5 rebounds and 8 assists to lead the Suns to a 112-96 victory at home.